Trying to make a living in the arts can be immensely challenging, frustrating, and intimidating. We as artists spend an enormous amount of time, energy, and money dedicating our lives to learning about our craft and discovering our voice for our chosen medium. This process is not all fun and excitement, as some may perceive it. On the contrary, being an artist is often a daunting task that takes years of dedication and countless hours of practice. Then, beyond developing proficiency in our craft, we must also obtain a completely different skill -- that of a small business owner. To become a successful artist, one must possess skills in marketing, grant writing, social media management, and bookkeeping, among others. It can be very difficult to know who to talk to when you have the inevitable question about the arts, and talking to arts administrators can be intimidating and anxiety producing. 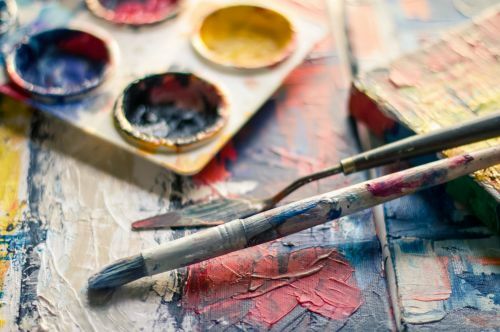 In an attempt to help Minnesota artists overcome these hurdles, The Lake Region Arts Council, in partnership with the Springboard for the Arts, has developed a new initiative called Arts Resource Experts (ARE). The ARE initiative is a free 10-month educational, professional development series for artists that runs annually from September through June. In it, participating artists can attend workshops regarding business skills for artists, learn about grant writing, network with other artists, have professional promotional videos made about their work, and connect with approachable and friendly arts administrators that are happy to answer questions. Upon beginning the program, each artist is invited to take a survey about their art to help assess which stage of their art career each person is currently in and identify career goals. From there, each artist has individual consultations with staff at both the Lake Region Arts Council and the Springboard for the Arts. From there, participants are given multiple opportunities to attend professional development workshops, network with other artists, and learn what it takes to make a living in the arts. As the program manager of the ARE initiative, I have had the pleasure of getting to know all of the artists in the ARE program, and I can honestly say that I have been consistently blown away by the intensity of creative talent we have in this region. Each artist in the ARE program has a unique talent, individual personal and professional trials and triumphs, and an amazing story to tell. Over the next several months, I will be interviewing several of the talented artists that are either currently participating in the ARE program or have participated in the previous year's ARE program for the HPR. The series’ intent is to not only showcase some of the region’s talent but also to give each artist a public platform to discuss their chosen medium, talk about what it is like to be an artist, and tell their story the way they want to tell it. The first interview of the series will be with Radio Free Fargo DJ Marquay Belcher, better known as DJ Morplay.